Call: a characteristic two-note tanga-eeeoo, repeated 3-5 times in succession, a pair sometimes call alternately. Also represented as ki-wow. McCormack, G. (1997). 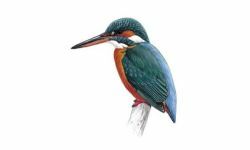 The status of Cook Islands birds. World Birdwatch, 19(1), 13-16. Rowe, S., & Empson, R. (1996). Distribution and abundance of the Tanga'eo or Mangaia Kingfisher (Halcyon tuta ruficollaris). Notornis, 43(1), 35-42. Rowe, S., & Empson, R. (1996). 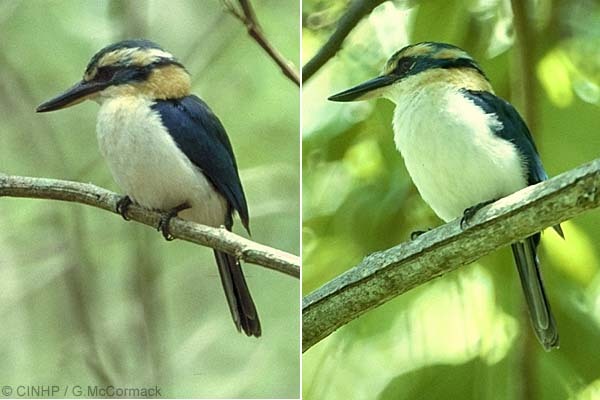 Observations on the breeding behaviour of the Tanga'eo or Mangaia Kingfisher (Halcyon tuta ruficollaris). Notornis, 43(1), 43-43.